It is a question we receive daily these days: Is There Sargassum Sargasso Seaweed On The Beach In Cozumel? Its a legit question and as we fly daily above Cozumel island we are able to answer this question precisely. Feel free to reach out to us, also about the current Seaweed situation on the Beaches of Playa del Carmen, Riviera Maya, Tulum, Cancun and Isla Mujeres. 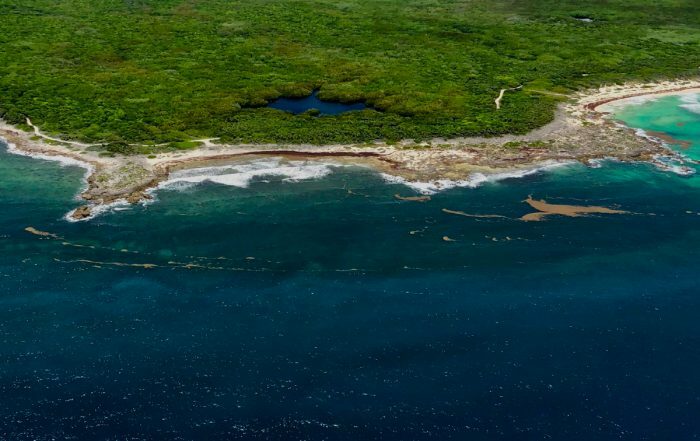 What is the Current Seaweed Situation on Cozumel Beaches? Summer 2018 Update. 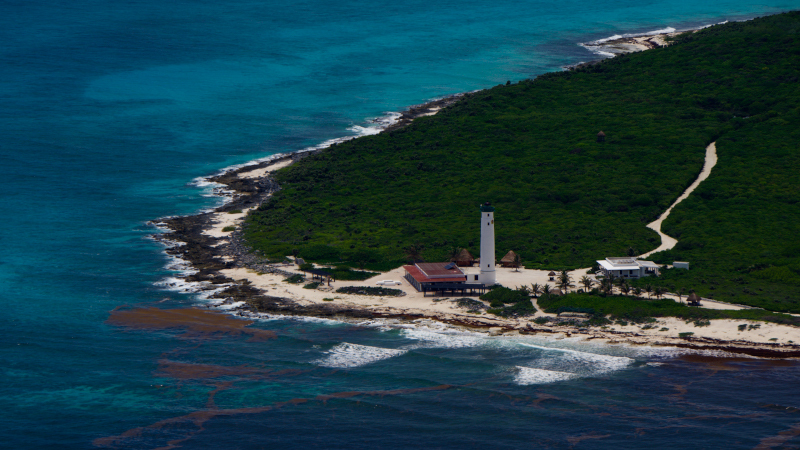 The East side (wild side) of Cozumel that goes from the north lighthouse Punta Molas to the South lighthouse in Punta Sur has beaches completely Seaweed free, other beaches have quite an amount of Seaweed. 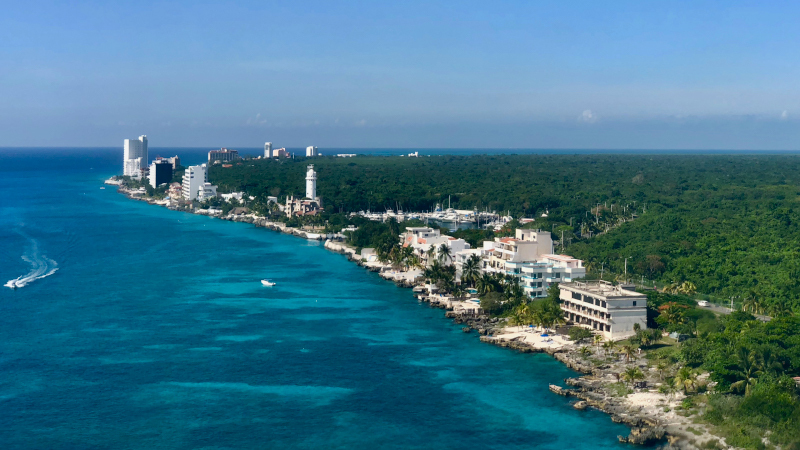 So when you visit Cozumel and really want to disconnect on the Wild Side of the island, you will absolutely be able to find great spots not only without cell phone reach but also without Seaweed. No worries! The Westside of the island, where hotels and resorts are like Iberostar, Occidental, Secrets, El presidente, Cozumel Palace, Hotel B, Coral Princess and Westin are most of the days Seaweed free. We reported some Seaweed on the beaches in the North West side of the island, but the quantity is minimal. You might see some Seaweed floating by, though it is still an absolute pleasure to be at the oceanside. We fully understand you might be worried; you are counting off for your vacation in Cozumel and then you hear all these horror stories about Seaweed beaches in Cozumel. The pictures in this article were taken in the last few days, so see for yourself. Come to Cozumel, the sun is shining! Smile! What is the Current Seaweed Situation in Playa del Carmen, Riviera Maya, Puerto Aventuras, Tulum, Puerto Morelos, Cancun and Isla Mujeres? It is the end of July 2018 , Summertime. We have found bigger concentrations of Seaweed on the beaches in Puerto Morelos and in some parts of Tulum and Playa del Carmen. Big parts of Cancun, Riviera Maya and Isla Mujeres are completely Seaweed free. 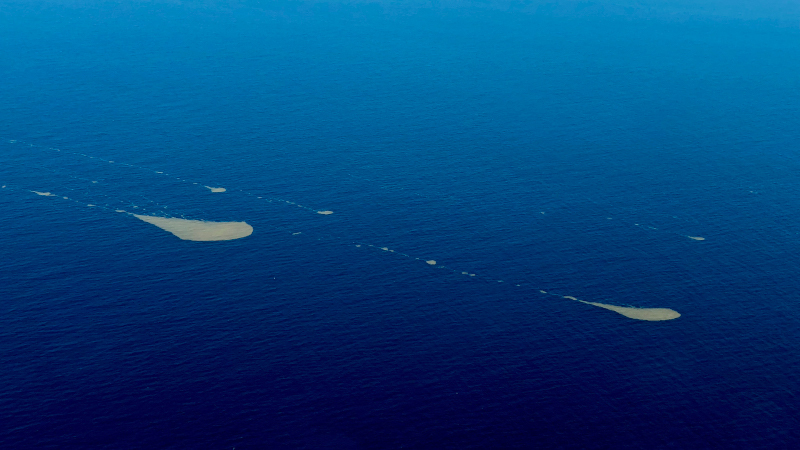 During our flights we notice Seaweed is “gathering together” at certain spots at the Riviera Maya. Sargassum Seaweed on the beaches is temporary and it’s also quite unpredictable; don´t let it affect your holiday plans. Check and adjust if necessary. Feel free to ask us for the current situation: bookit@flycozumel.com or, of course, reach out to the resort you will be staying at. Where is all this seaweed coming from? Drop us an e-mail (bookit@FlyCozumel.com) or reach out through the FlyCozumel chat on the right bottom of this page. Would like to do a day at the beach without sargassum. Which do you recommend? Thank you for your message Mary. 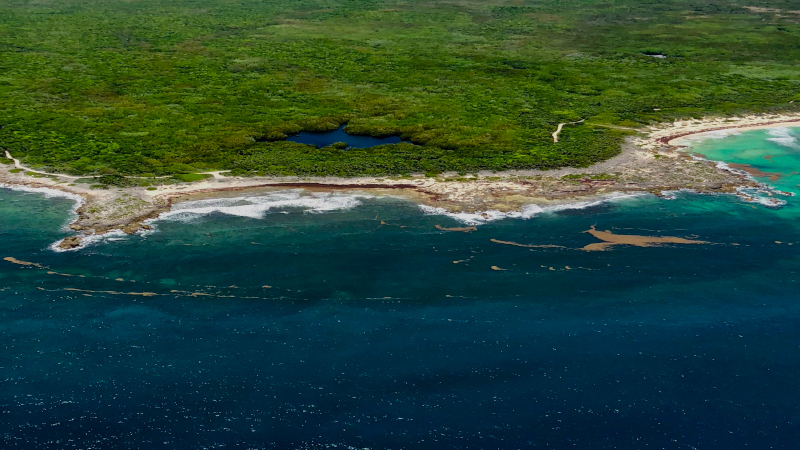 All the beaches on the west side of Cozumel, the hotel/beach club area, is free of sargassum. There are many options for a beach club. I can recommend you a few: mr. Sanchos, Skyreef, The Westin, Hotel B, Punta Sur or Playa Mia. They all have what you want. Are you planning to visit the Riviera Maya, Cancun, Tulum or Cozumel in the next months and are you worried about seaweed? Leave your email. We will keep you up to date!